1) Eat food, not toxins! The best detox is the daily one. When you want to become healthier it is great to start with food, as it is often a quick and easy way to feel better, but as I wrote yesterday, don’t forget to explore the other parts of being healthy. Here is my first recommendation of the three: on what to eat but better explained. 1) Eat food, not toxins. Obvious, you might think. But no! It’s not obvious at all. With food we mean clean and real food; natural, non processed food without chemicals and additives. In other words, food! Sodium benzoate, E-124, sulfur dioxide or aspartame is not food. This can be difficult when 75% of what is sold in a supermarket is not what I would call food at all, and only a tiny 1% of the food is organic. The food becomes far too processed and altered for our bodies to recognize it as a natural molecule. That’s why it treats this non-food more or less as a toxic and will try to get rid of it before it harms us. 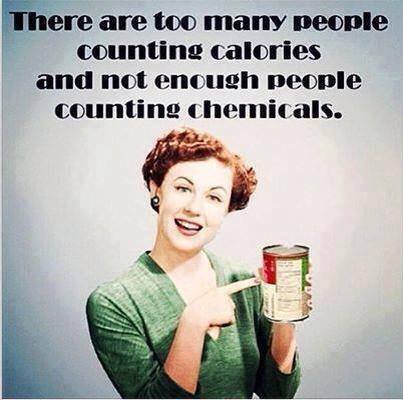 Additives, coloring, aromas, or pesticides are NOT food! In todays food production the producers of “real food” have to pay huge fees to declare that they have nothing to declare, and be controlled by some official authority to do so. It should be the other way around. The non-organic producers are the ones that have changed a production used since ancient times. They should declare all the hidden chemicals they make us eat. Barranco Oscuro is an organic wine producer, that had enough of expensive controls. They produce wine as it has been produced for ages. Clients know them, they visit their production and trust them. Question how things are made. How does the raw material look like? I took the example of margarine before. It has been heavily manipulated. It’s made from a liquid vegetable oil, like sunflower oil, but has been manipulated to become a spread by turning it into an oxidized toxic trans-lipid, and an important risk factor for cardio vascular disease. 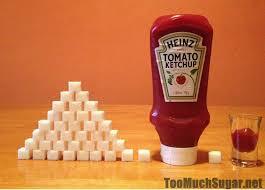 I mentioned sugar too. Sugar is almost black from the beginning but they take so much away that it ends up as one of the worst things you can eat and it’s hidden in a lot of food. Meat is another one. Most meat in the supermarkets is not even meat anymore. The animals are fed crops (and other things) it wouldn’t eat in a natural habitat and of course it alters the composition of the meat. They also become what they eat! One example is the relationship in between the lipids called the Omegas. A cow that has eaten what it is meant to eat (grass) has a ratio of 1:2 of Omega 3 and 6, respectively. Meat bought in a normal supermarket it has the ratio of 1:12, which increases the risk of inflammation hugely! Most of us get markers for inflammation in our blood when eating gluten from wheat. Why? Once again, the grain has been manipulated over the years to make fluffy white bread. The original grain (Kamut) is hard and much darker. Modern wheat is unnatural and needs a lot of pesticides to cope in nature. It is not clear that this is the cause of all the intolerance we see or if it is the grain as such. Probably both. Its important to eat food that you tolerate and feel good from. This can be tricky to feel, in a world where we’ve lost contact with ourselves and our needs, and rather eat what is easy at hand and when the clock on the office wall says we should be hungry rather than your tummy. That’s why we dedicate a lot of our teachings to enhance your understanding of what you need, and to read your own ‘signals’. We are all different. Choose natural real food and feel what you need and thrive on.